I hope you enjoy these mp3 files of my playing on the new Kel Kroydon Bill Evans Signature Banjo. Taken together, I think these cuts show well the variety of sounds that this American Made Banjo is capable of producing. I want to share a few brief thoughts about each track. Key of G. I wanted to start off by playing the Kel Kroydon banjo on a familar tune that we all know well. I'm impressed that when you play relatively close to the bridge, as I'm doing on this tune, you get not only the sharp attack that we all want to hear on a piece like this but that the banjo is also still very deep and full sounding. Note also that there's no loss in power up the neck too! Key of D, fifth string to A. This is one of my recent tunes, included on my new latest CD let's do something... with Megan Lynch. The thing that impresses me most about this instrument is that it works well for both hard-driving bluegrass and contemporary pieces that require for a deeper or darker banjo tone. Note I'm playing farther away from the bridge on this track. The feel of the strings under the right hand as you move away from the bridge on this banjo is slightly stiffer than on other comparable instruments. This enables me to play with a lot more confidence and with more right hand power in that "progressive" zone that's about one to two inches away from the bridge. This banjo's tone is still big, full and rich with a full tone at all points from close to the bridge to where the pot joins the neck. This is a great thing. Key of A, capo at the 2nd fret. A lot of banjos sound pinched in the key of A but not this instrument! This tune combines a mix of aggressive playing relatively close to the bridge for the first and third solos with some picking away from the bridge for a mellower sound up the neck for the second solo. Note the great balance and sustain that the banjo has up the neck on this track. Key of B, capo at the 4th fret. The next crucial test is how this banjo sounds in the all-important bluegrass key of B, with the capo at the fourth fret. Once again, I'm really amazed at how the banjo pops but still has a fantastic depth of tone, with no loss of volume with the application of the capo. This is really unusual and is one important factor that makes this a great instrument! This new tune is what you get when you mix "Gotta Travel On" with "Long Journey Home" and add just a dash of "Little Maggie." Key of G. I close with a track where I explore the various sounds of the Kel Kroydon, both close and away from the bridge, from the first to the 22nd fret! You'll be able to hear in this quick two-minute track just about everything that this remarkable instrument can do. I recorded these tracks at Jim Nunally's studio in Crockett, California on May 28, 2009. Jim used two microphones at this session: a Neumann TLM103 run through a Forsell Technologies Fetcode tube microphone preamp and a Shure KSM32 run through a VMP2 tube microphone preamp. Both microphones were recorded directly to hard disk in Digital Performer at 44.1KHZ and 16 bit. No equalization, compression or processing of any kind was added to this recording. 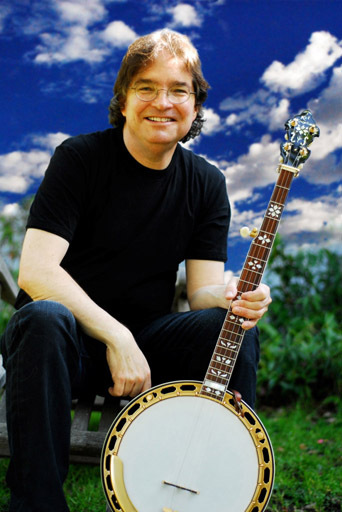 Thanks for taking the time to listen and I hope you enjoyed the sound of the new Kel Kroydon Bill Evans Signature Model Banjo from American Made Banjo. If you have any further questions about this instrument, don't hesitate to contact me. I'd love for you to pick a tune on it next time I see you at an upcoming festival, concert, music camp or workshop. The Bill Evans Signature Banjo is available in our store in the Banjos / Signature category. More information about its specs, and additional photos, can be seen on the Bill Evans Banjo page. 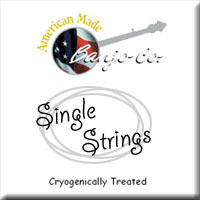 Bill Evans Signature Strings are available from our store, in the Strings / Signature category. To learn more about Bill Evans himself, please visit this page.